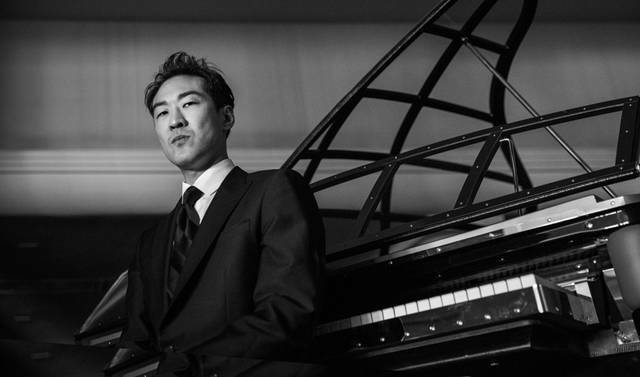 Darke County Center for the Arts opens its 2018-19 Artists Series season celebrating 40 years on Saturday at Henry St. Clair Memorial Hall with a return performance by pianist Alpin Hong, who twice before has thrilled local audiences with his charismatic personality as well as his dynamic playing. GREENVILLE – Darke County Center for the Arts opens its 2018-19 Artists Series season on Saturday at Henry St. Clair Memorial Hall with a return performance by pianist Alpin Hong, who twice before has thrilled local audiences with his charismatic personality as well as his dynamic playing. According to DCCA Artistic Director Keith Rawlins, the program titled “Chasing Chopin” will feature Chopin’s incomparable music while also offering a rare window into the extraordinary life experiences which drive Hong’s gripping interpretation of those masterworks. The concert begins at 8 p.m. When DCCA first presented Hong almost a decade ago, popular response to his performance, as well as thwarted Arts In Education plans due to winter weather conditions, motivated a return in 2014. His performances drew raves both times, and constant demands for his return continue to bombard DCCA authorities. The upcoming performance offers insight into the artist as well as appreciation for classic piano repertoire. “Throughout his life, Alpin has been inspired and sustained by the music of Chopin, even while the prize-winning artist experimented with extreme sports, video gaming and teenage rebellion; this show offers an entertaining, unique mashup of autobiographical storytelling with dazzling piano performance that communicates directly to audiences of all ages,” Rawlins said. Hong, a piano prodigy, experienced the catastrophic loss of his parents at age 12 and believes that music saved his life; his highly entertaining performances convey deep emotion and reflect his passion for music. “Alpin Hong: Chasing Chopin” is sponsored by Richard Baker and Greenville V.F.W. Post 7262. This presentation is supported by the Arts Midwest Touring Fund, a program of Arts Midwest that is funded by the National Endowment for the Arts, with additional contributions from the Ohio Arts Council and the Crane Group. Additionally, the Ohio Arts Council helps fund this program with state tax dollars to encourage economic growth, educational excellence and cultural enrichment for all Ohioans. DCCA also receives operating support from the Harry D. and Esther Stephens Memorial as well as funding from the Ketrow Foundation, Lydia E. Schaurer Memorial Trust Fund and the John R. and Miriam H. Knick Fund of Darke County Foundation. DCCA membership contributions also help support this show. DCCA also will present Alpin Hong at St. Clair Memorial Hall to junior high students from all local public schools on Thursday and Friday as part of their Arts In Education program; these programs are free and open to the public. Tickets for the Artists Series’ “Chasing Chopin” concert cost $20 for adults and $10 for students and can be purchased by contacting DCCA at 937-547-0908 or dcca@darkecountyarts.org; tickets also are available online atwww.darkecountyarts.org.